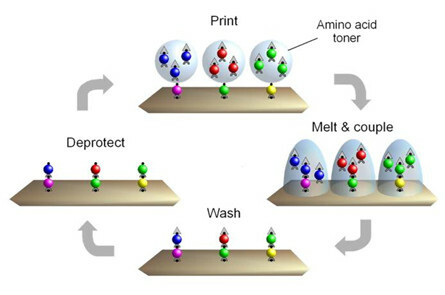 AS ONE International provides standard and custom peptide microarrays based on the PEPperCHIP® laser printing platform. Potential applications include epitope mapping, immunological research, biomarker discovery and peptide drug development. Due to their proprietary peptide laser printing technology, the high-content PEPperCHIP® microarrays set a new standard in terms of peptide diversity, signal quality and content flexibility. Check out our offerings below. 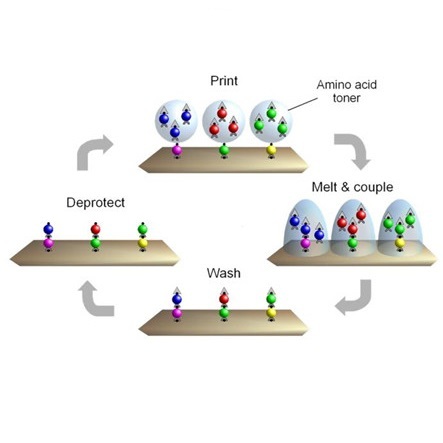 PEPperPRINT’s high tech printing instrument is conceptually based on a 4-color laser printer, but the peptide laser accommodates 24 amino acid printing units for the 20 main L-amino acids as well as other monomers like D-amino acids and citrulline. Combining laser technology with image recognition optics for glass side alignment, linear stage and precision mechanics for repeat printing with micron resolutions, PEPperPRINT can precision print up to 275,000 spots per minute for HTP applications. Based on PEPperPRINT’s printing platform, we offer PEPperCHIP® Custom Peptide Microarrays, PEPperMAP® Custom Services and Ready-To-Go PEPperCHIP® Standard Peptide Microarrays. 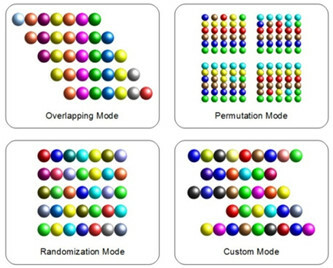 PEPperCHIP® Standard Peptide Microarrays cover selected epitopes, antigens or whole viral proteomes translated into overlapping peptides, or random peptide libraries for signature discovery. The PEPperCHIP Standard Arrays are ready to use, all you need is your sample, Incubation Tray, Staining Kit, Microarray reader, and PepSlide Analyzer software (free trial available). The PEPperCHIP Signature Microarray contains 4,092 15mer random signature peptides as duplicates for signature, epitope and mimotope discovery. Each slide contains one array and is compatible with a 3/1-well PEPperCHIP Incubation Tray. PEPperCHIP Incubation Trayswith 3/1, 3/2, 3/3, 3/4, 3/5, 3/16 and 3/(3,4,5) well formats for one-by-one assays with multiple array copies. Incubation tray 3/1 means the tray can hold up to 3 slides and each slide contains 1 microarray. Incubation tray 3/3-4-5 holds 3 slides. The 1st slide can have 3 arrays, 2nd slide – 4 arrays, and the 3rd slide – 5 arrays. PEPperCHIP Staining Kitwith labeled anti-HA and anti-Flag antibodies for control assays. Both antibodies are either labeled with Cy3/Cy5 for standard microarray scanners like GenePix (wavelengths 532 nm and 635 nm) or with infrared dyes DyLight 680/DyLight 800 for microarray scanners like LI-COR Odyssey (wavelengths 700 nm and 800 nm). 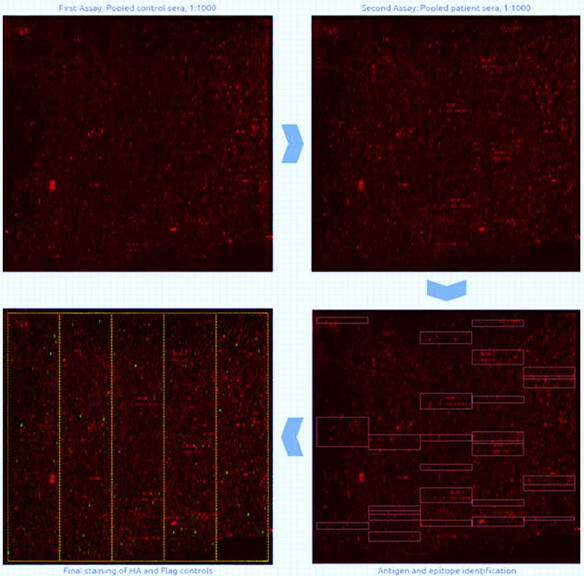 PepSlide Analyzerfor software-assisted image analysis of peptide microarray data. Inquire about free trial. The PEPperCHIP® platform provides the highest standard of peptide microarrays with unlimited content flexibility covering any protein or peptide sequence. PEPperCHIP® Custom Peptide Microarrays can be fully tailored according to your scientific needs in a uniquely cost-effective manner – from single antigens translated into overlapping peptides to whole virus proteomes. DESIGN YOUR OWN PEPperCHIP – INQUIRE HERE! well formats for 1-by-1 staining on multiple array slides. * Both antibodies are either labeled with Cy3/Cy5 for standard microarray scanners like GenePix (wavelengths 532 nm and 635 nm) or with infrared dyes DyLight 680/ DyLight 800 for microarray scanners like LI-COR Odyssey (wavelengths 700 nm and 800 nm). ** Incubation tray description: 3/1 means the tray can hold up to 3 slides and each slide contains 1 microarray. Incubation tray 3/3-4-5 holds 3 slides. 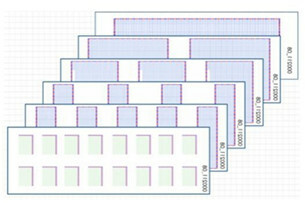 The 1st slide can have 3 arrays, 2nd slide – 4 arrays, and the 3rd slide – 5 arrays. If you don’t have a microarray reader or the staff to perform the assays, you can use PEPperMAP Custom Services! PEPperPRINT offers the comprehensive PEPperMAP® Service allowing users to fully benefit from their peptide microarray platform without any need for manpower or technical infrastructure. Protein sequence (FASTA format or UniProt ID), custom peptide collection sequence (Word or Excel files) or simply select from PEPperPRINT’s Ready-to-Go PEPperCHIP microarrays. Type 1 Epitope Mapping of a monoclonal antibody against an antigen translated into 15 aa peptides with 14 aa peptide overlap. The microarray scan (left) as well as the intensity plot (right) reveal a stretch of adjacent peptides with a consensus motif that represents the epitope of the antibody. Stained HA (red) and Flag (green) control peptides frame the antigen-derived peptides. Type 2 Epitope Mapping Service: Epitope Mapping of one antibody or serum sample against a single antigen translated into 10, 12 and 15 aa peptides with a peptide-peptide overlap of 9, 11 and 14 aa. Type 2 Epitope Mapping of a polyclonal antibody against an antigen translated into 10, 12 and 15 aa peptides with 9, 11 and 14 aa peptide overlap. The microarray scan (left) as well as the intensity plot (right) of the 15 aa peptides shows an apparent single epitope stretch which can be separated in two adjacent epitopes with the 10 and 12 aa peptides. Stained HA (red) and Flag (green) control peptides frame the antigen-derived peptides. 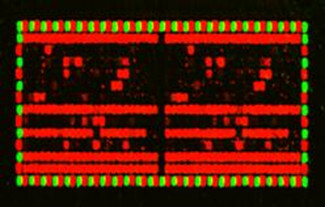 Antigen and Epitope Discovery Microarrays: PEPperCHIP Discovery Microarrays are based on a discovery format that covers 50,000 different peptides (up to 60,000 peptides, e.g. 30,000 different peptides in duplicate) for high throughput screening. Discovery Microarrays are ideal for large-scale antigen and epitope discovery screens for biomarker identification, multiplex epitope mappings or peptide discovery and high throughput optimization. 334 different proteins of interest were translated into 15 aa peptides with a peptide-peptide overlap of 10 aa resulting in 26,463 different peptides in duplicates. The first assay was based on pooled control sera at a dilution of 1:1000 followed by data read-out and quantification (left top). A second assay was performed with pooled patient sera at the same dilution (right top) that revealed a number of antigens and epitopes that were exclusively stained by the pooled patient sera. Antigens and epitopes with the highest differential response were selected (right bottom) for further investigations with increased serum numbers on PEPperCHIP® Peptide Microarrays with standard dimensions. Staining of HA (red) and FLAG (green) control peptides complement a typical Antigen and Epitope Discovery Screen (left bottom).